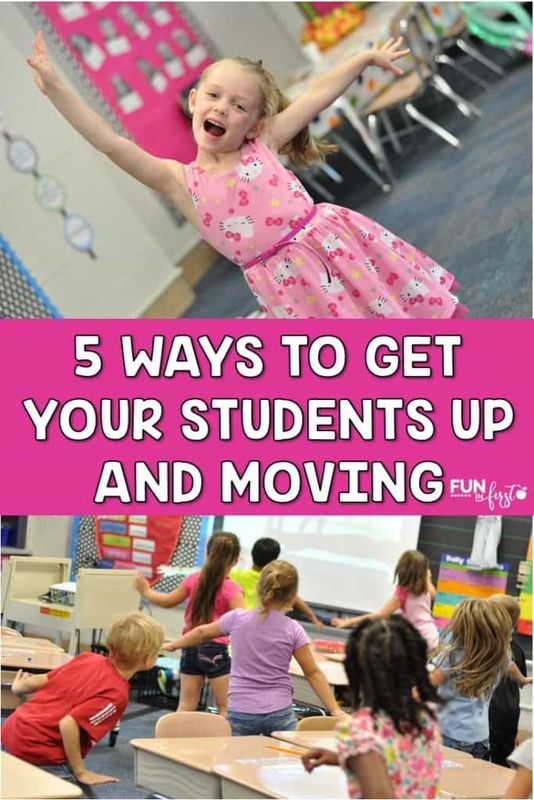 If you have any experience with children, you know that they need to get up and move throughout they day. Even as an adult, I do not sit still very well. I cannot stand when I have to sit through a meeting all day. I need to move around. 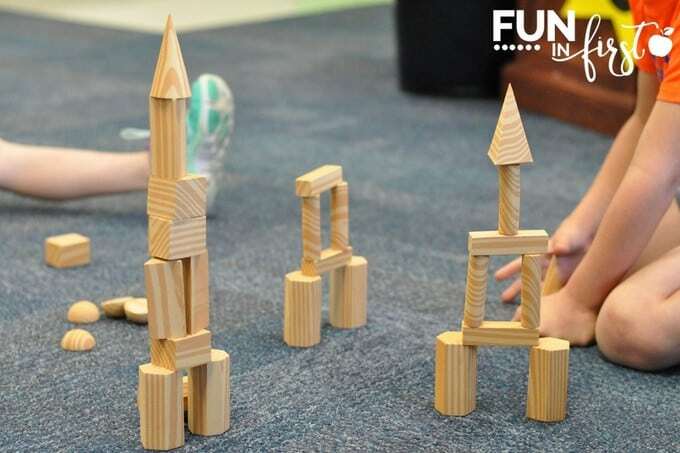 Research has shown that movement can increase focus and retention. 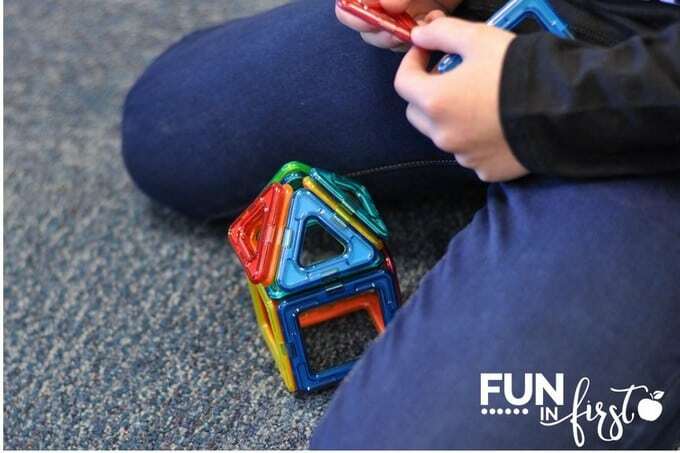 Brain researcher, John Medina, stated in Brain Rules (2008), that “physical activity is cognitive candy and exercise boosts brain power.” Did you know that in Finland, it is typical for students to get a 15 minute break for every 45 minutes of instruction? 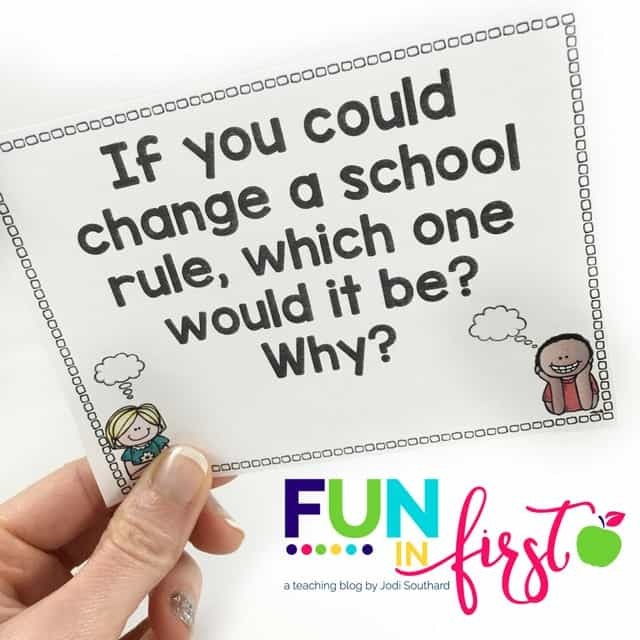 With our push for longer school days and more time on task, this seems almost impossible. 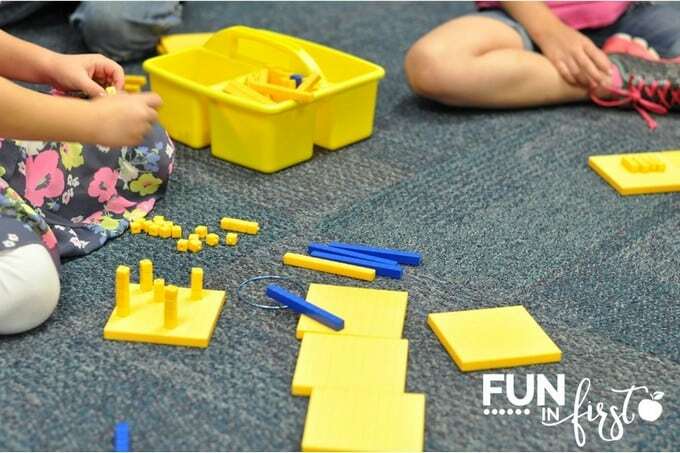 But, we truly have to think about if our “time on task” involves the students giving 100% of their focus and attention to what we are teaching. 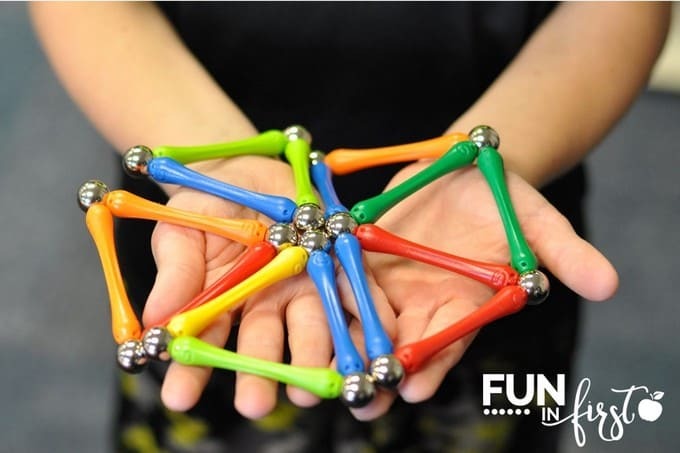 So, how can we incorporate more movement into our classrooms? We are constantly moving to different areas of our classroom during the day. We do not stay in one area for too long. As soon as I notice that my students are losing focus, we change it up. 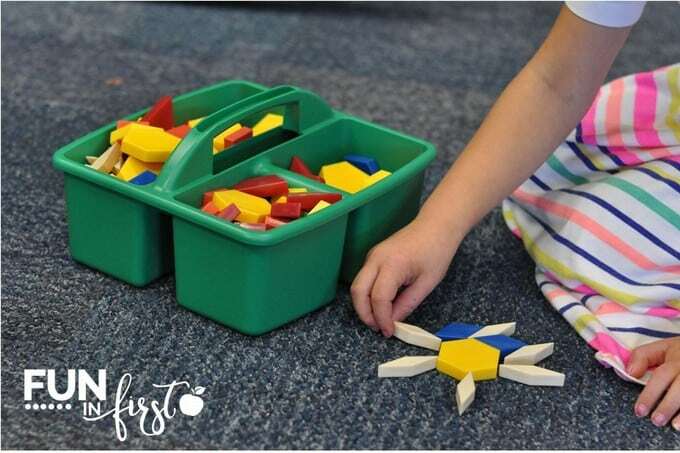 I do whole group instruction at our desks or on the carpet together. 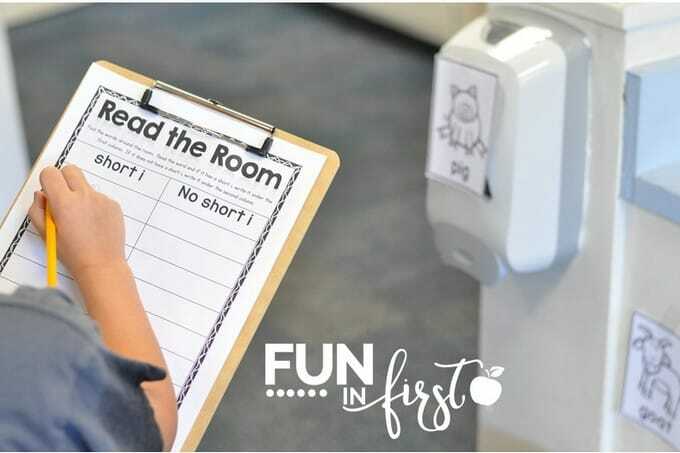 I do small group instruction at my reading table, while my students transition around the classroom doing learning stations. 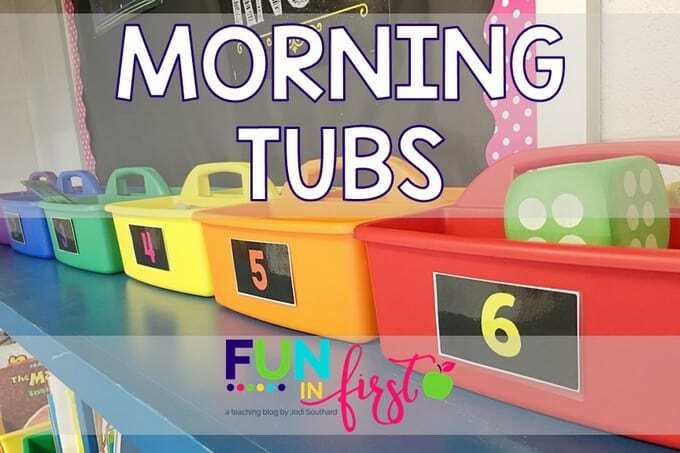 My students also love to find a spot in the classroom to work on their Morning Tubs in the morning. The most important thing to remember, is to be very aware of when your students are starting to lose focus. 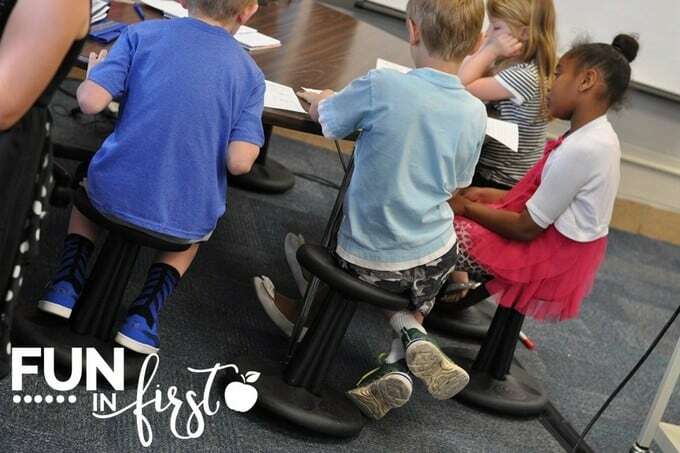 As the year progresses, students will be able to stay in one spot for longer periods of time, but definitely switch it up often. 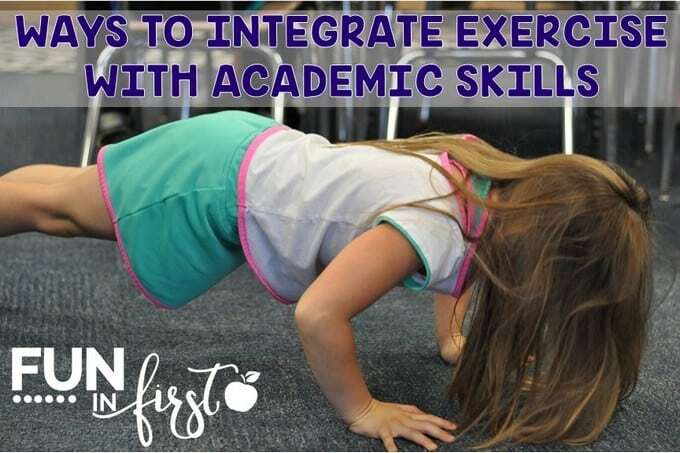 The easiest way to get your students up and moving is to find ways to integrate movement into your learning. 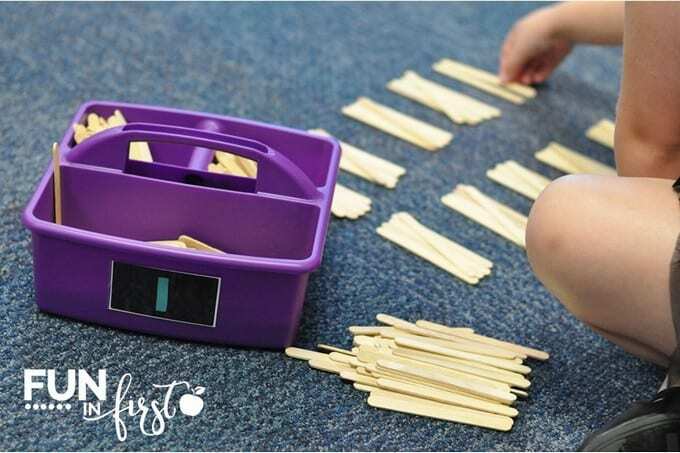 Have students act out vocabulary words or play games that get them moving around the classroom. 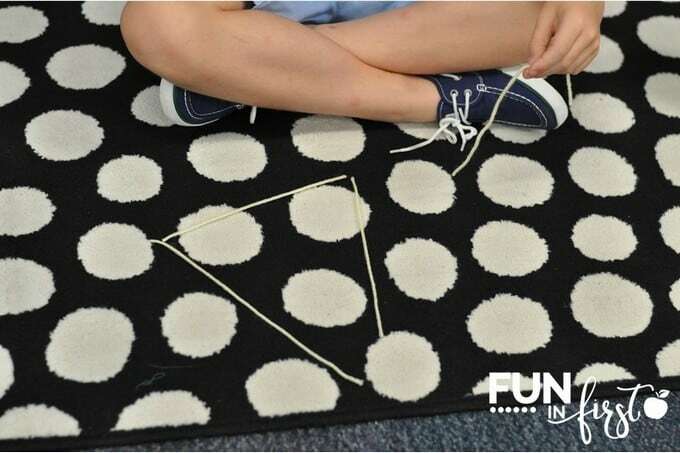 One of my students favorite games is 4 corners. There are a couple different ways you can play this game. 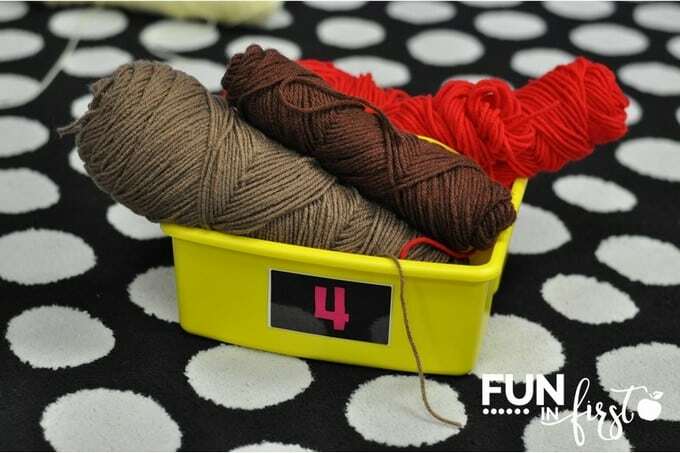 One that we played recently was Vowel Sound 4 Corners. (You could definitely do 5 areas instead of 4.) I hung signs up in each corner of my room labeled short a, short e, short i, and short o. 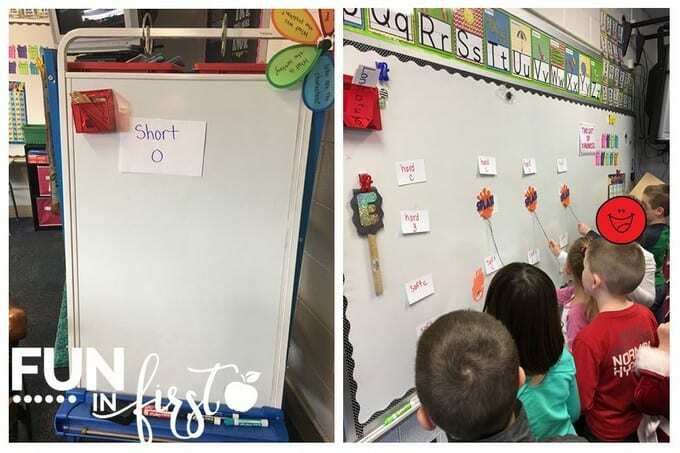 Each student stood under a sign of their choice. Then, I drew a short vowel word from a jar. For example, “cat.” All of the students under the Short a sign, went and sat down. Then, the students picked a new sign to stand under. This continued until there was one winner. 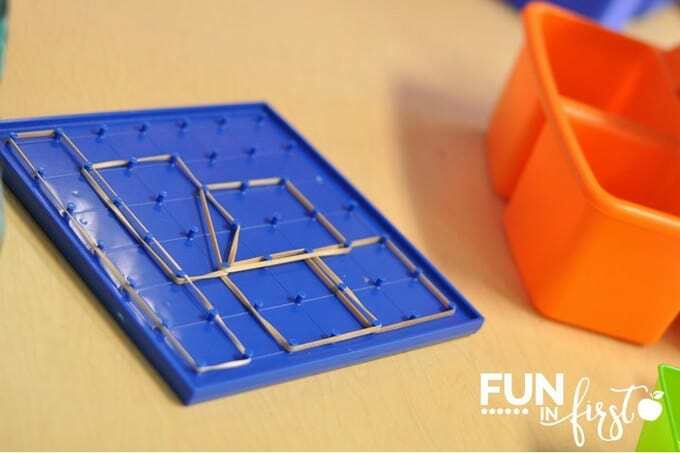 This can easily be adapted to many reading and math skills. 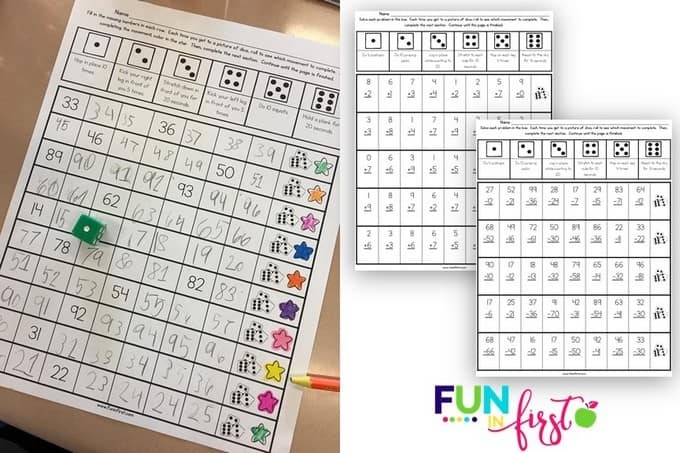 An easy and fun way that I integrate academics and exercise is with my Reading on the Move and Math on the Move packets. 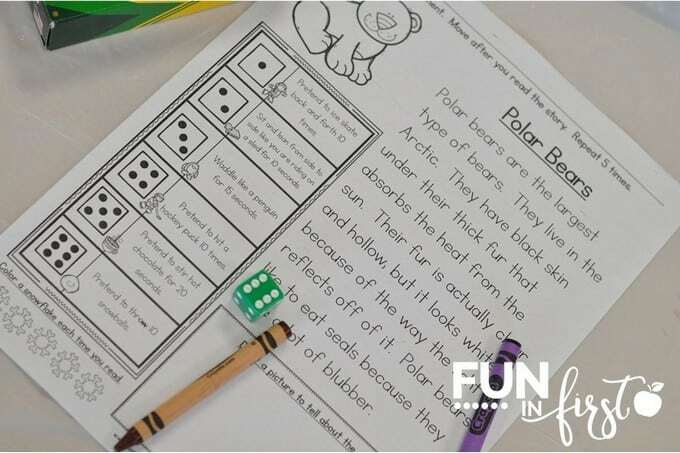 The students roll the dice after reading to see what “movement” they are going to complete before rereading the passage. (The passage above is from my Reading on the Move – Winter Edition). 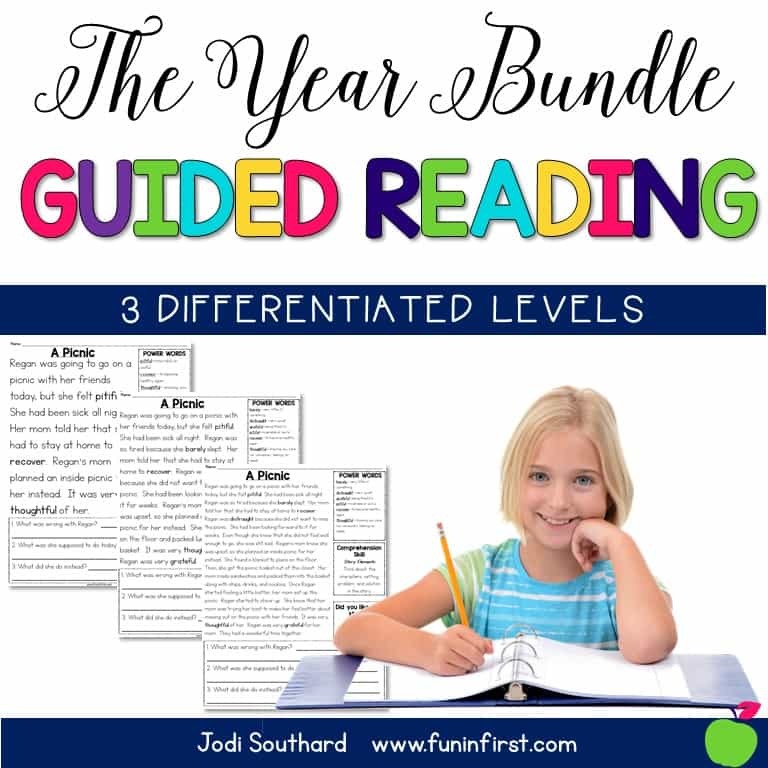 You can check out all of my Reading on the Move packets HERE. We also use my Math on the Move packets to integrate math and exercise. 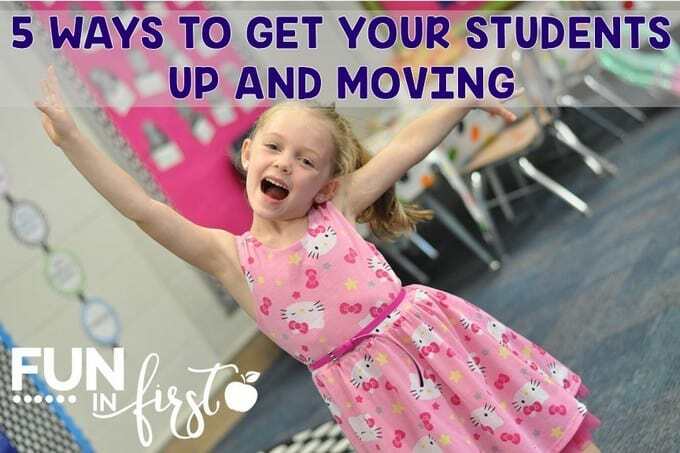 The students love getting up and moving after each section of work that they complete. 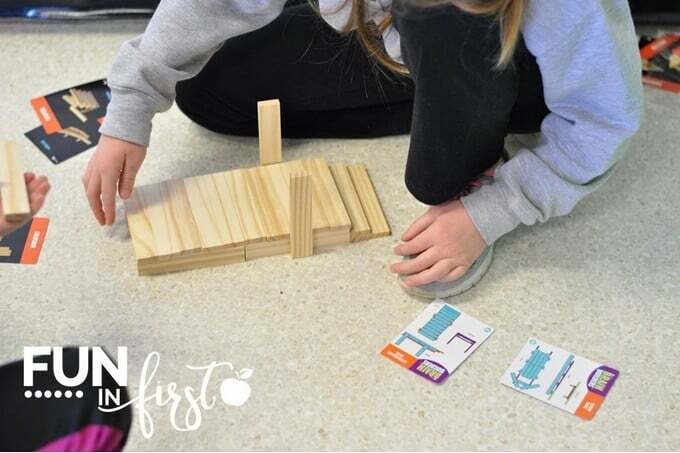 When you notice that students are losing focus, take a Brain Break. 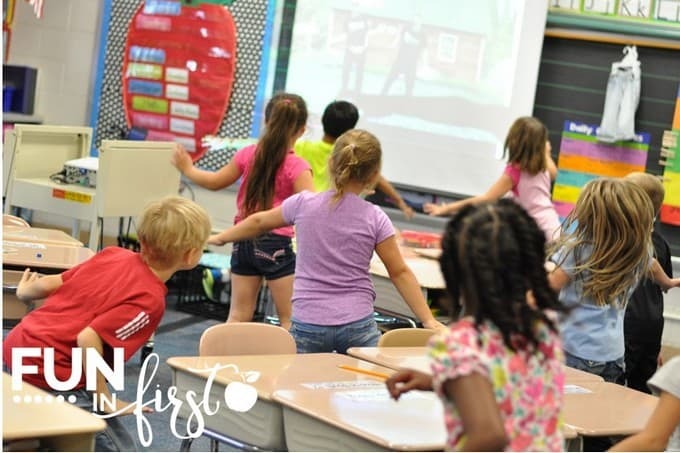 We absolutely love using GoNoodle for our Brain Breaks. 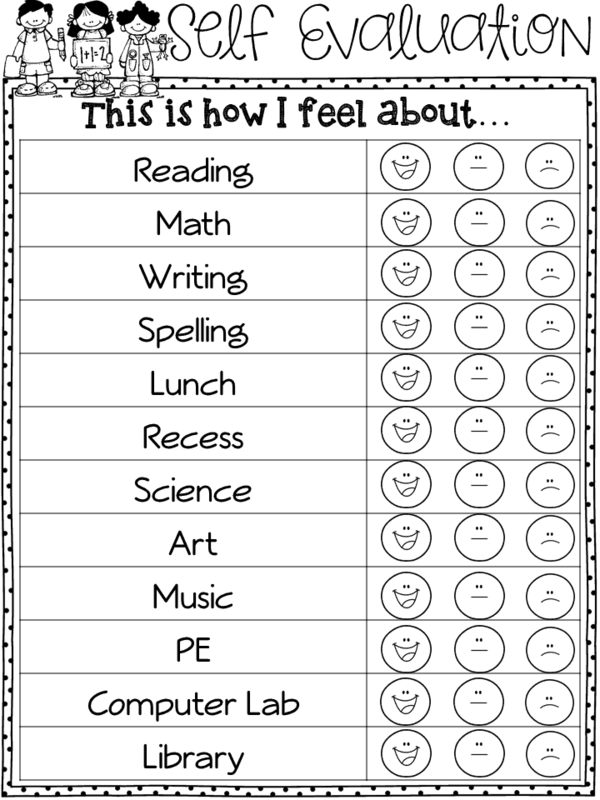 There are so many great options to choose from depending on what the students need at that time. I love all of the KooKoo Kangaroo videos when I need my students to “wake up” and recharge. However, sometimes I need the opposite effect, and I want them to settle down. The Flow and Maximo videos are perfect for this. 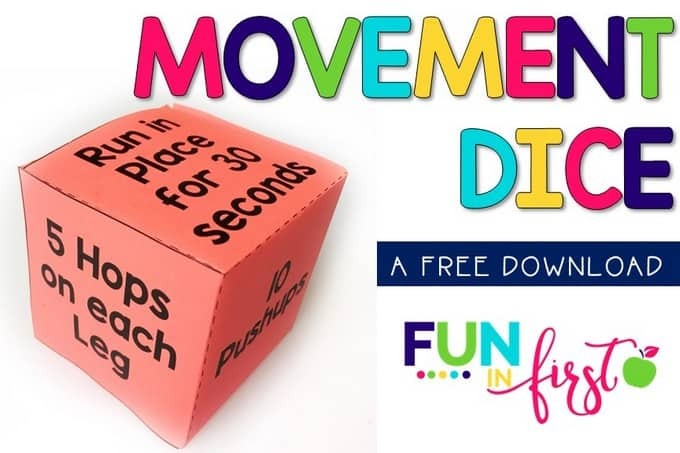 Another great way to add a little bit of movement to your day is to use this movement dice. 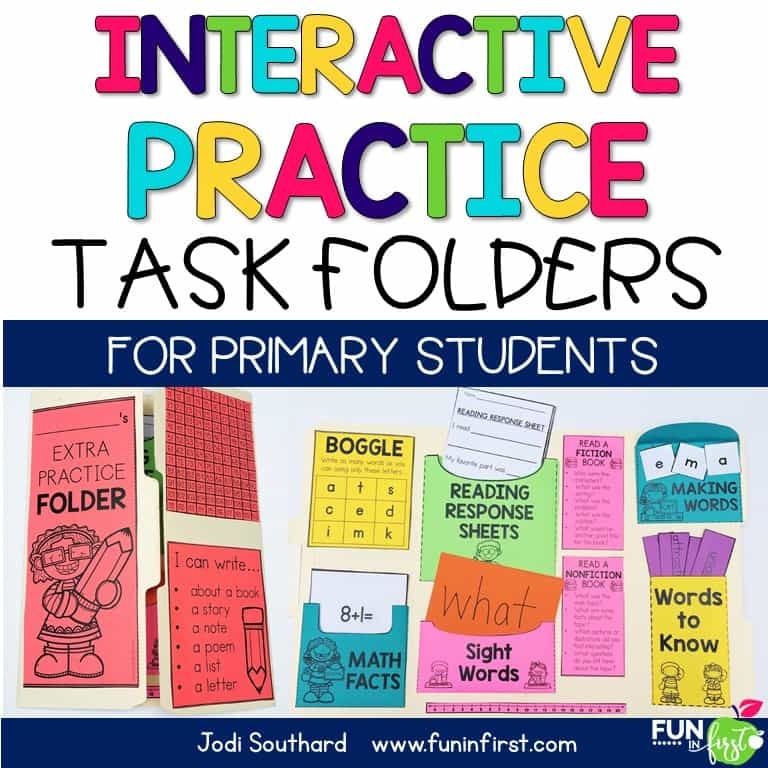 This can be used as a whole group when you notice that students are starting to get off task. 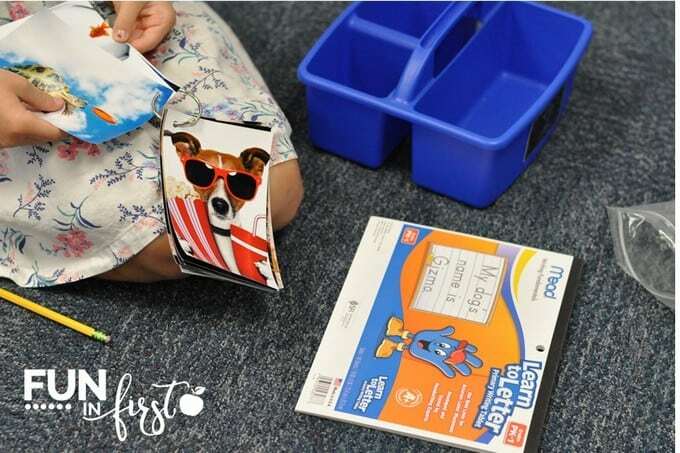 It also works great for students that may need to keep it at their desk to use when they need an extra break. You can download it for free HERE. Weather permitting, I love to take learning outside. Living in Indiana, this is not always possible, but on nice spring and fall days, we love to head outside. You can take books outside and let students read. We have also taken our white boards and dry erase markers out to a picnic table to work on math. 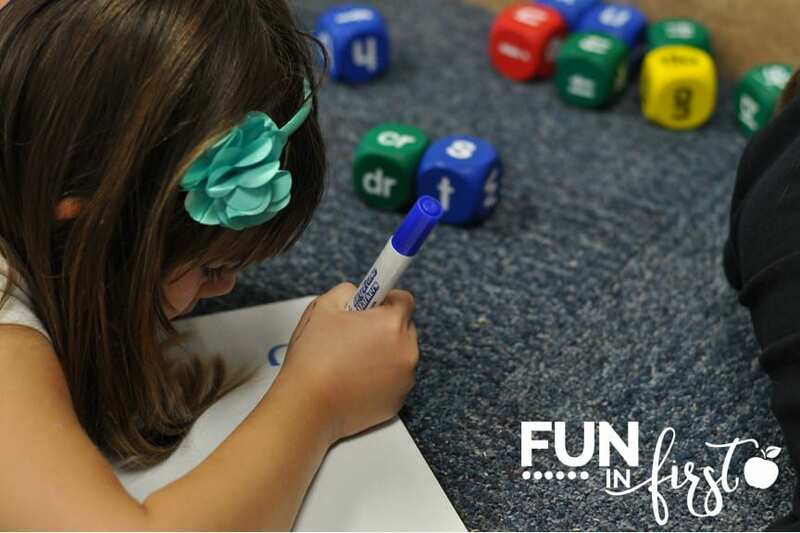 Sidewalk chalk is a great way to practice spelling words and math facts. 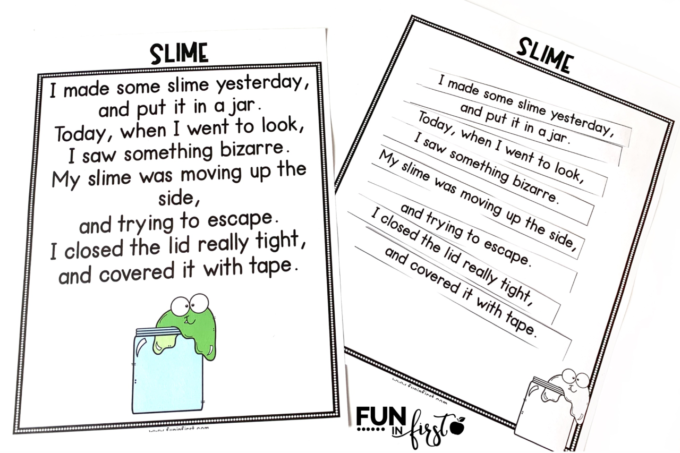 Another idea is to have students use their senses while outside to enhance their writing. The possibility are endless. 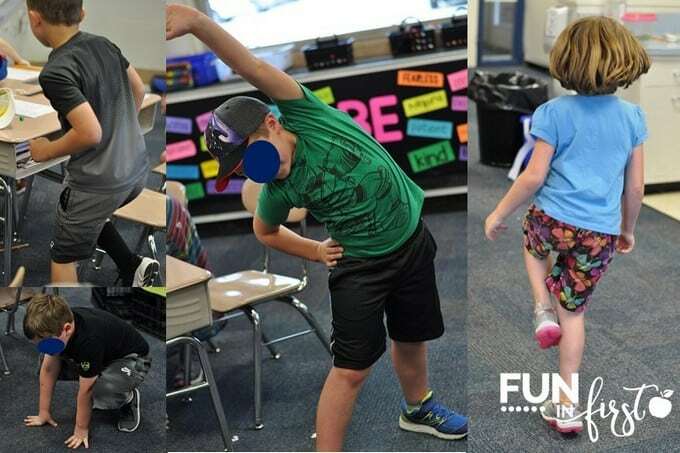 How do you use movement in your classroom? Last week, I changed out my Morning Tubs for the third time this year. The 3 day rotation is still working out really well for my students. 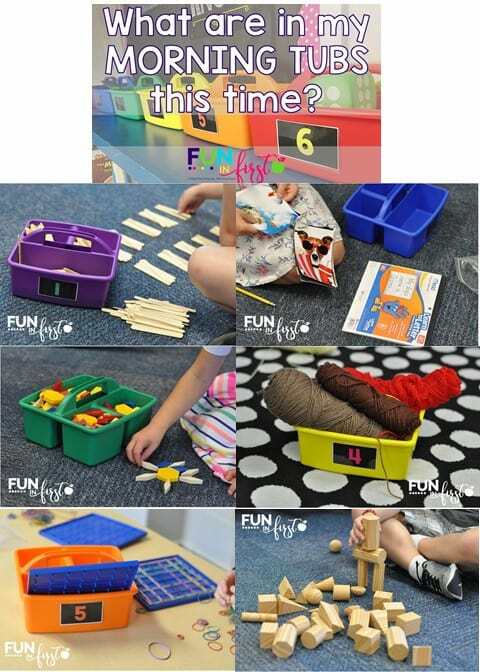 I really think it is just the right amount of time for the kids to spend at their tubs. 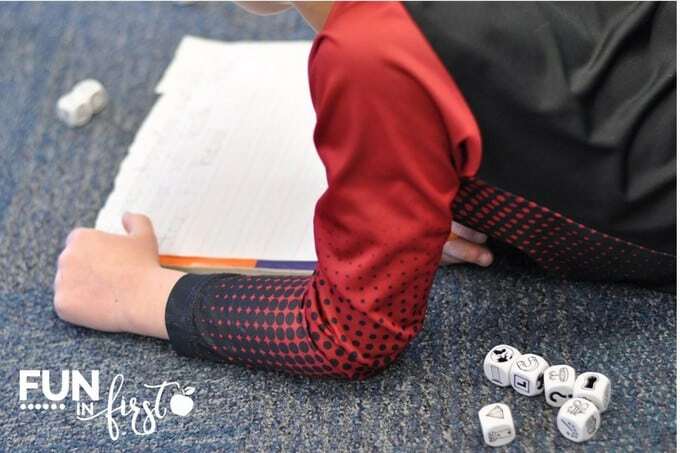 In the first tub, I placed my new Phonics Dice that I ordered a couple weeks ago. 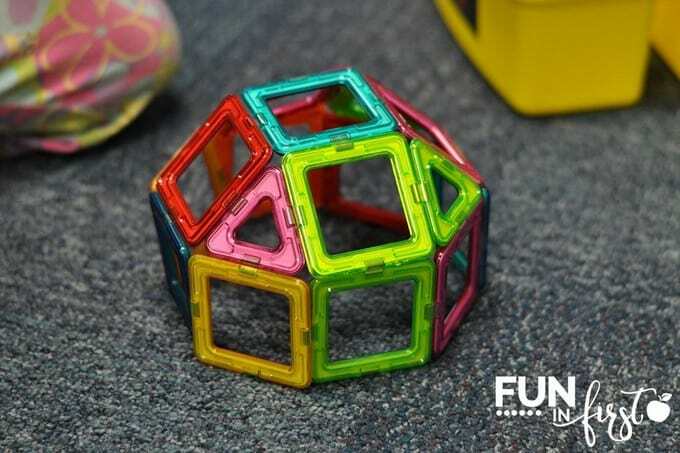 We have been using these during small group reading instruction, so my students have had practice making real and nonsense words with these dice. 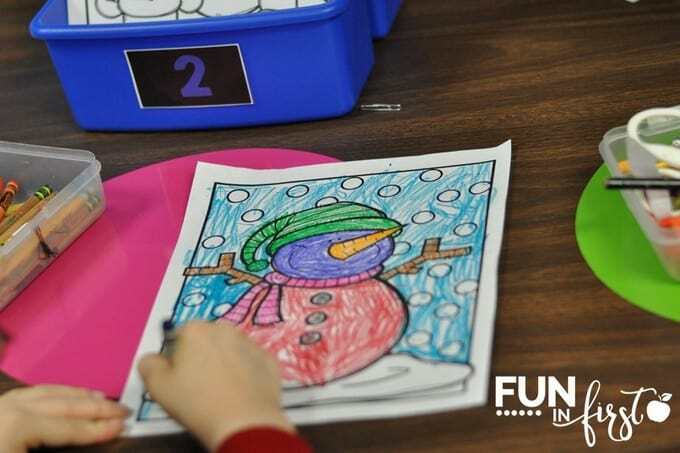 The students grab a dry erase board and marker to use at this tub. The second tub is filled with Halloween erasers that I purchased from the Dollar Spot at Target two years ago. 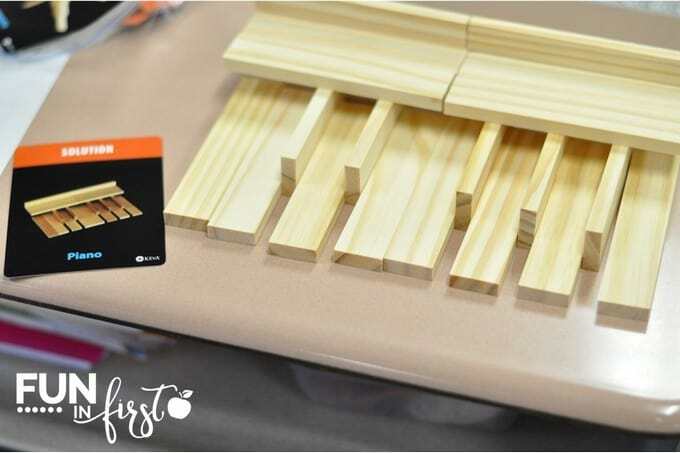 These seasonal erasers are always a great find and can be used for so many things. For the morning tub, I didn’t give the students a particular task for these. I just like to let their creativity take over. 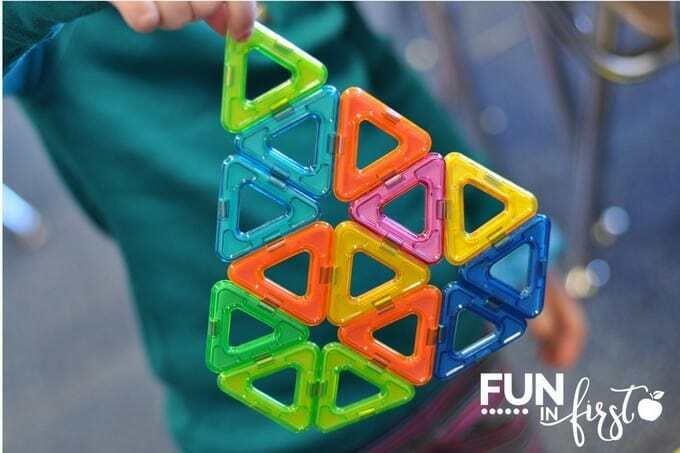 They have had so much fun making shapes, patterns, and pictures with these. The third tub contains letter tiles. 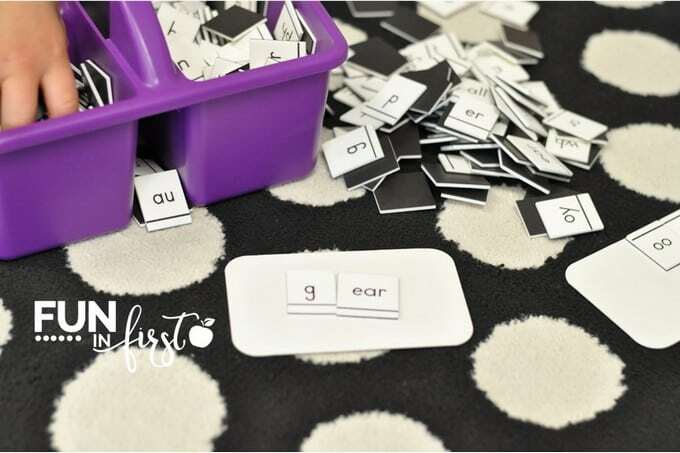 These tiles have all of the individual letters as well as common vowel pairs and word families. 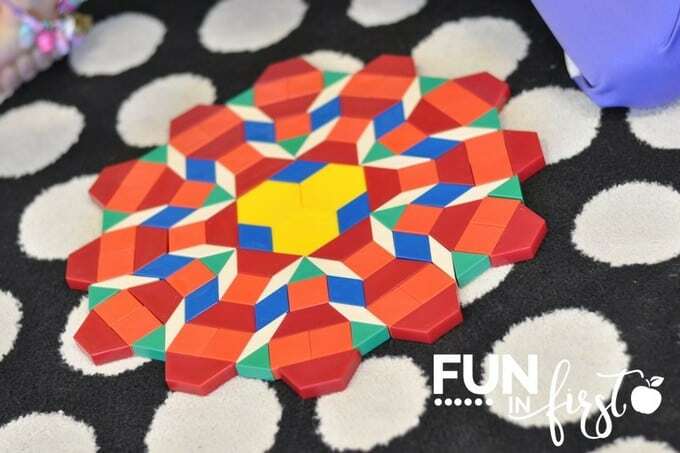 The letter tiles came with small magnetic boards, but cookie sheets would also work really well with these. I truly have no clue what brand these tiles are, but you could always just put regular magnetic letters in a tub. 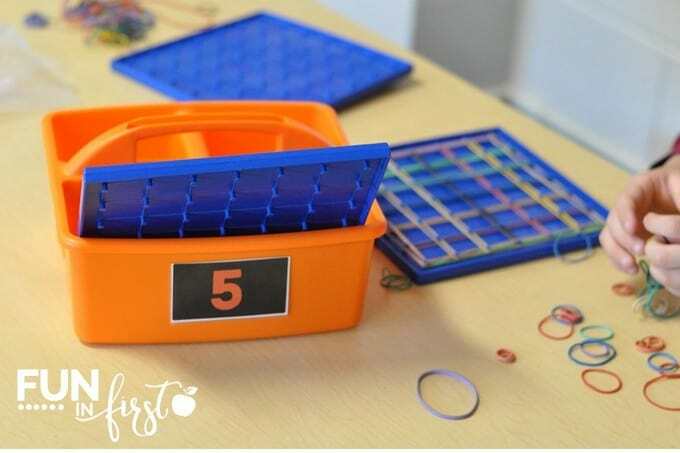 My fourth tub contains Base-10 Blocks. 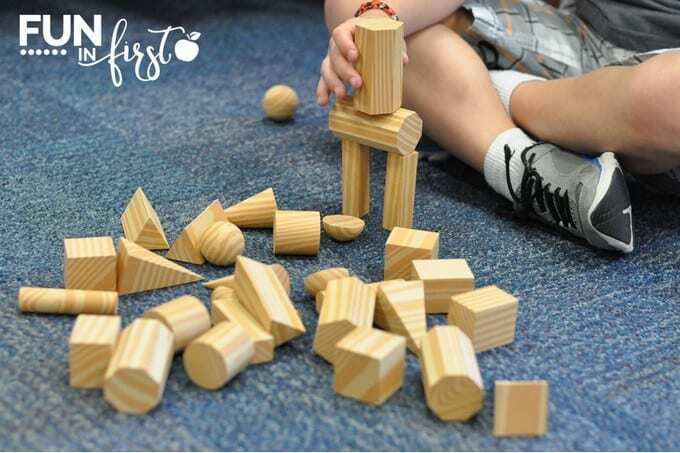 The students always love building towers and houses with these blocks. 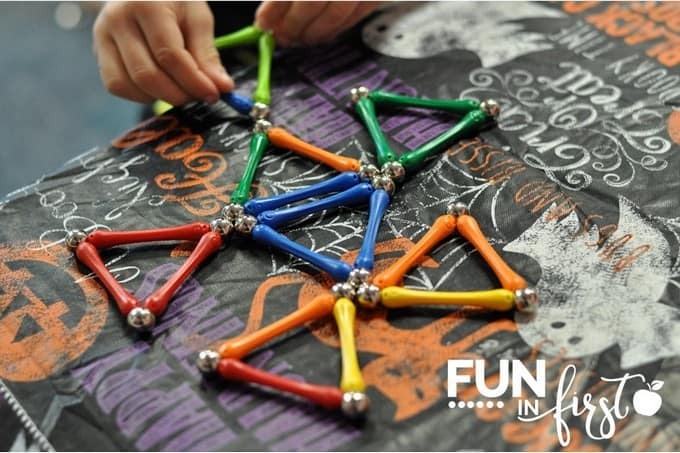 I was so excited when I ordered this Goobi Construction Set from Amazon a couple weeks ago. 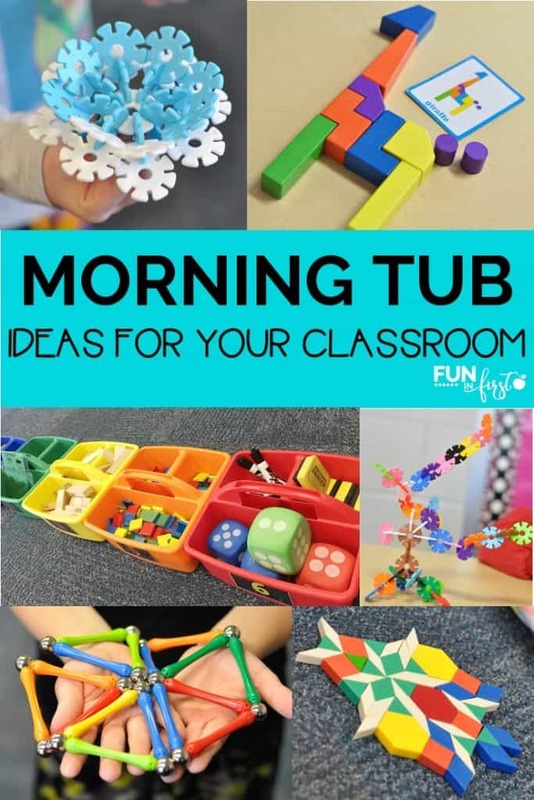 I knew my students would love them, and they would be perfect for morning tubs. 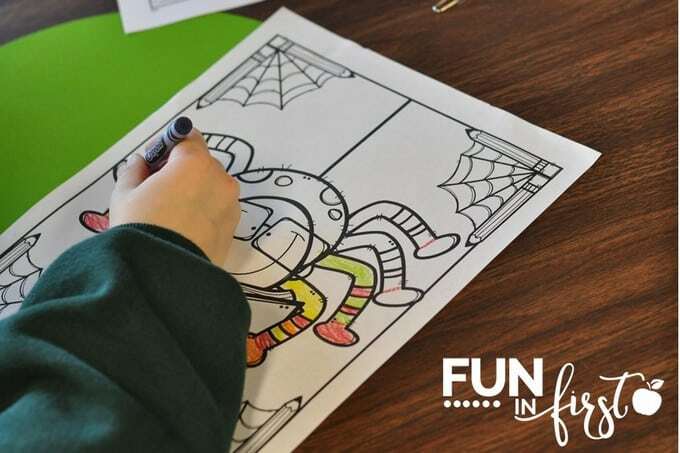 The sixth tub contains coloring pages. 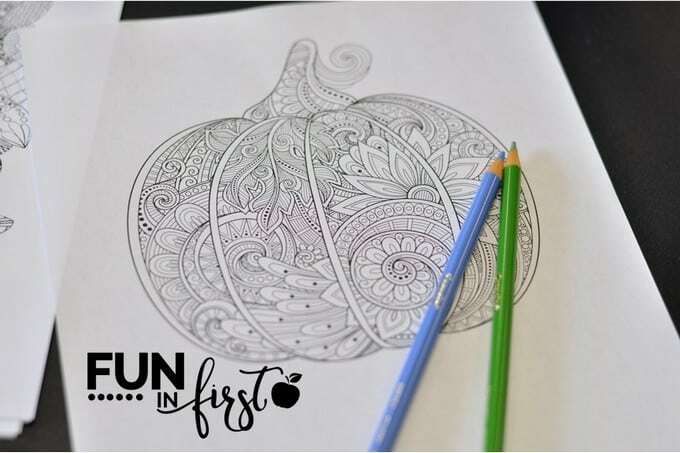 I included some primary type coloring pages that I downloaded for free from Creative Clips, as well as some more difficult adult coloring pages that I found as free downloads online. 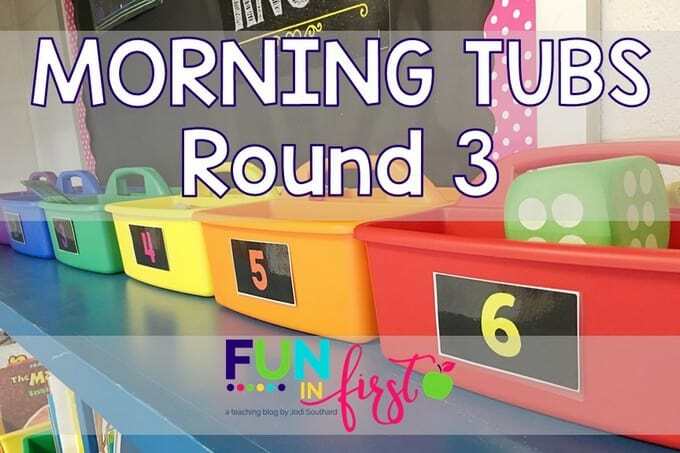 You can read about my first two rounds of Morning Tubs by clicking on the links below. Are you using Morning Tubs this year? I’d love to hear the types of things you have placed in yours lately. 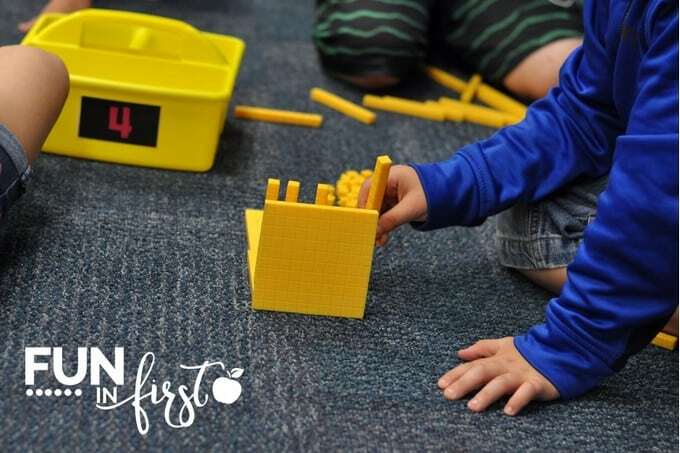 I cannot believe that it’s already time to start thinking about Parent-Teacher Conferences. We will start scheduling ours tomorrow, and then we will meet with parents in two weeks. 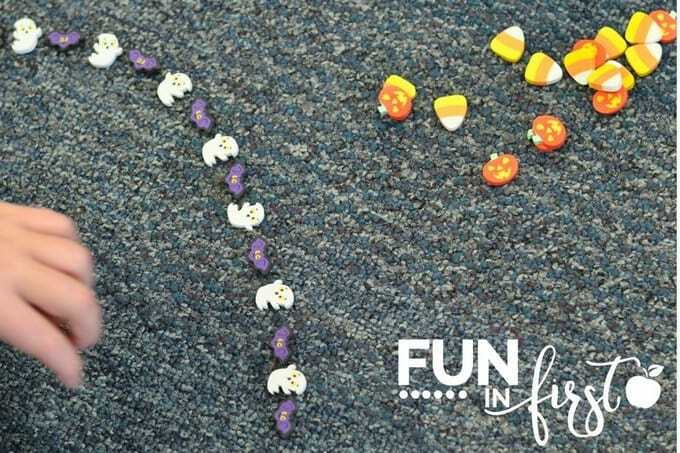 The beginning of the school year has just flown by! 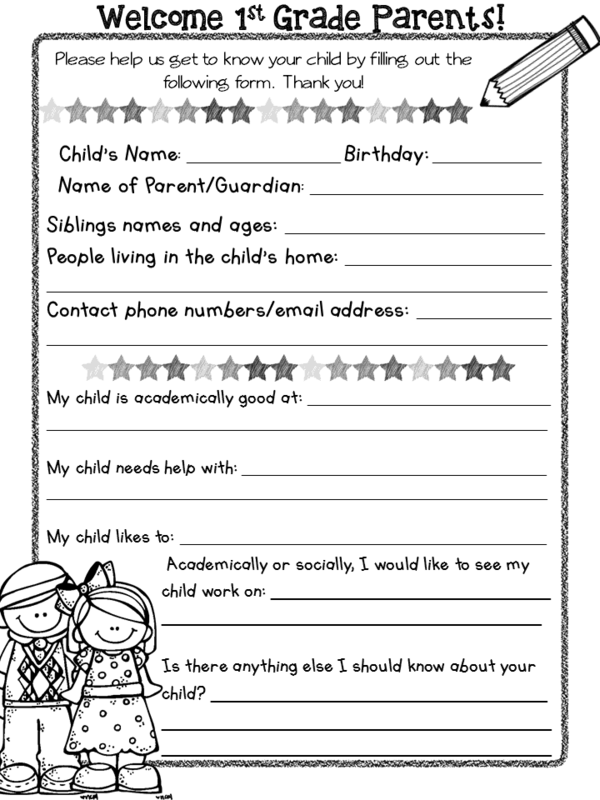 Last year, I shared some FREE Parent-Teacher Conference forms and wanted to remind you of those if you wanted to use them again. 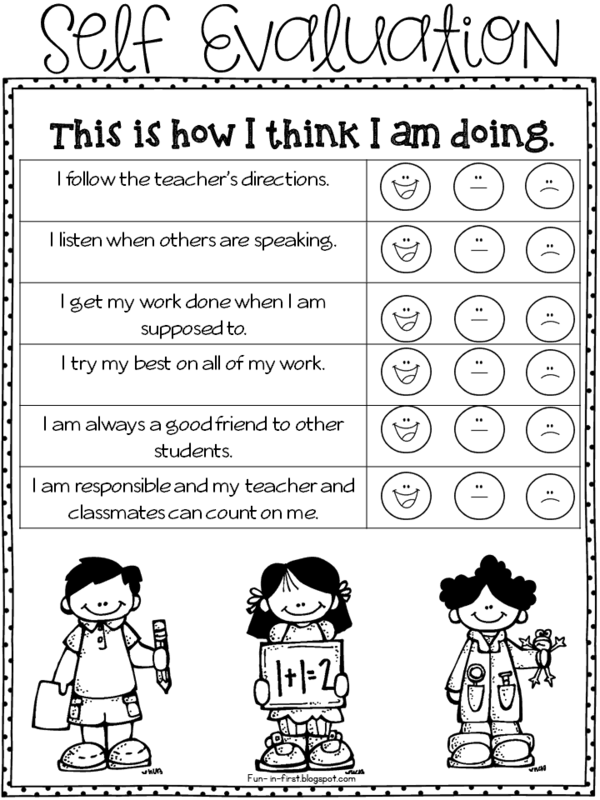 These are great for students to fill out prior to conferences. It really gives you an insight into how they see their school year. It’s so interesting because I have actually found that some of my best students are the hardest on themselves when it comes to self-evaluations. 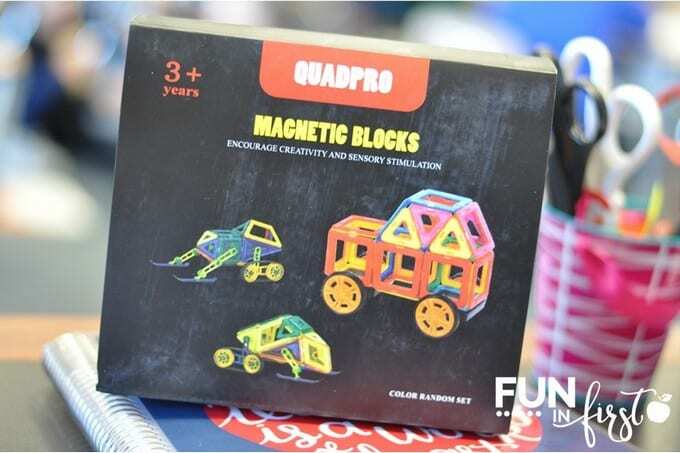 The parents always enjoy seeing which subjects interest their child as well. 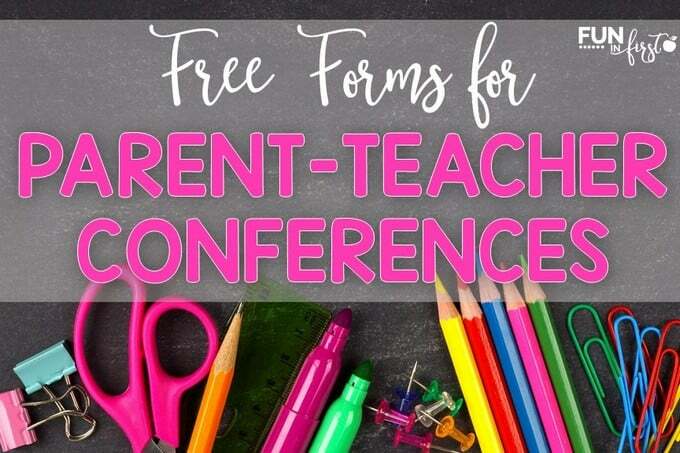 You will also find conference reminder forms in this FREE download. 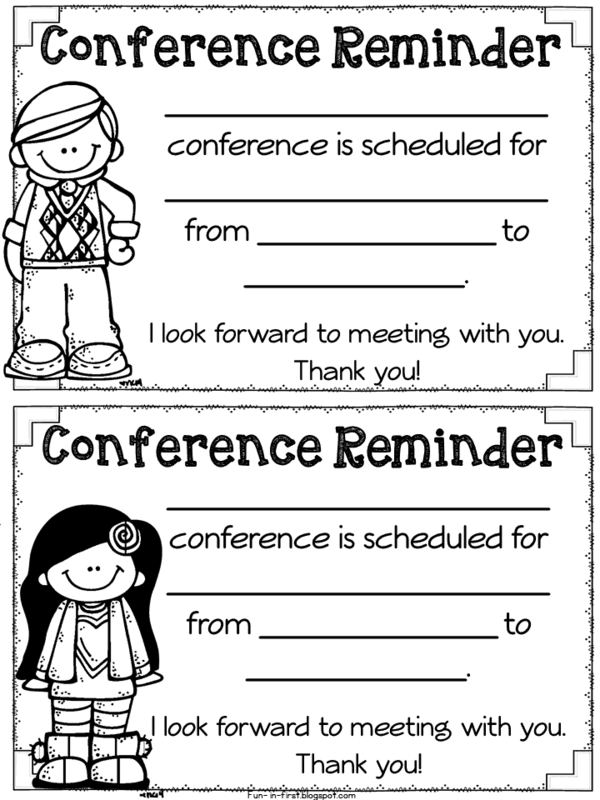 These are editable, so you can add your student’s name, date, and time of the conference. 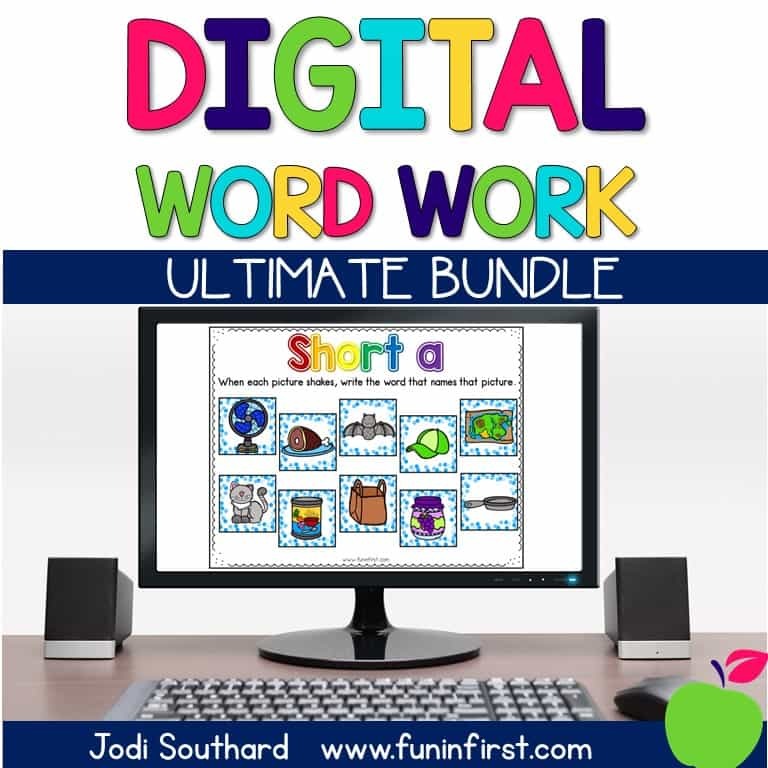 You can download all of these for FREE in my Teachers Pay Teachers store. 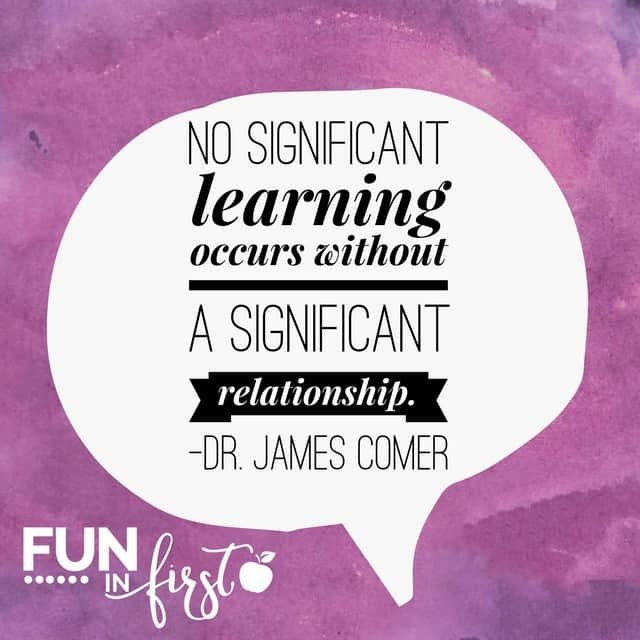 Building relationships with your students is so important. As teachers, we have a huge responsibility to not only educate our students, but to build real relationships with them. To me, this is my number one joy in being a teacher. I absolutely love to build strong relationships with students. 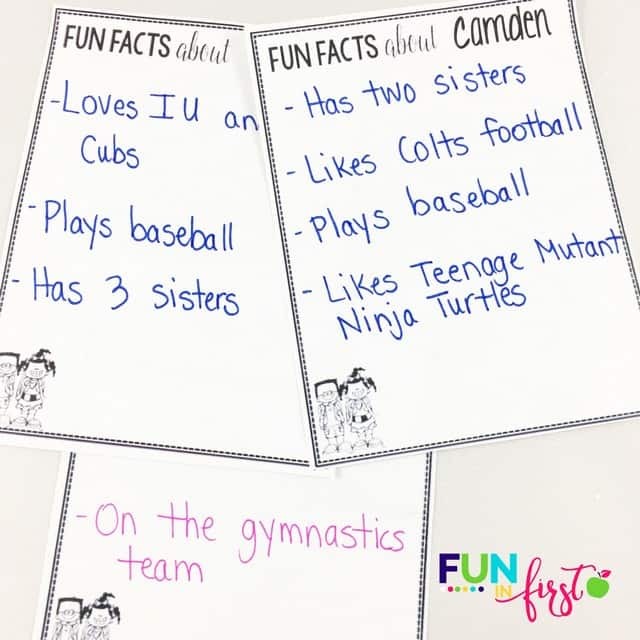 I like to get to know their likes and dislikes, their interests, and their families. These relationships are SO important! So, how do you build strong relationships with your students? TALK TO YOUR STUDENTS AND LET THEM TALK TO YOU. I understand how hard it is to fit everything into your school day. We have so much learning that needs to take place, but I cannot stress enough the importance of giving your students the chance to talk and tell their stories. Do I let my students tell me stories all day long? Absolutely not, even though some will try. Instead, every morning during Morning Meeting, I give students the opportunity to share. If I have a funny story or something to share, this is the time I do this as well. Students LOVE learning about their teacher. 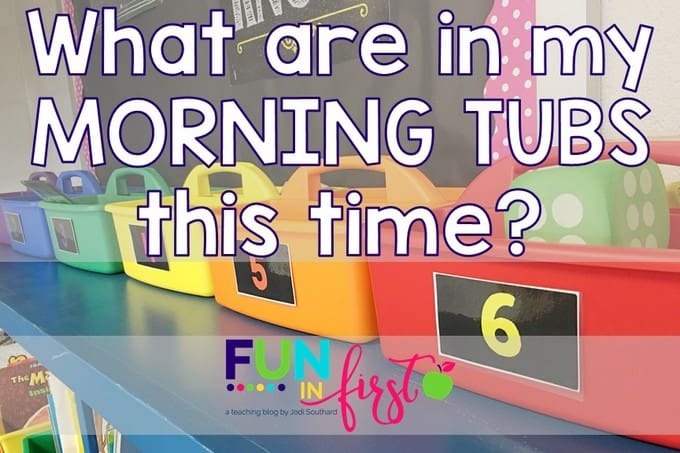 We also do a Question of the Day during Morning Meeting. 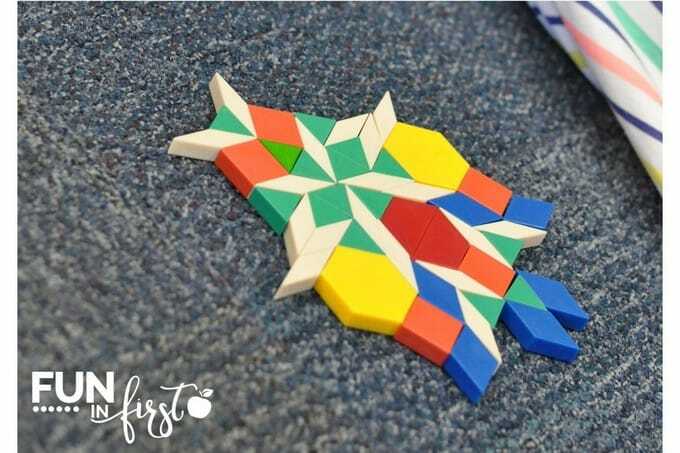 These always lead to amazing discussions, and you can learn so much about your students. 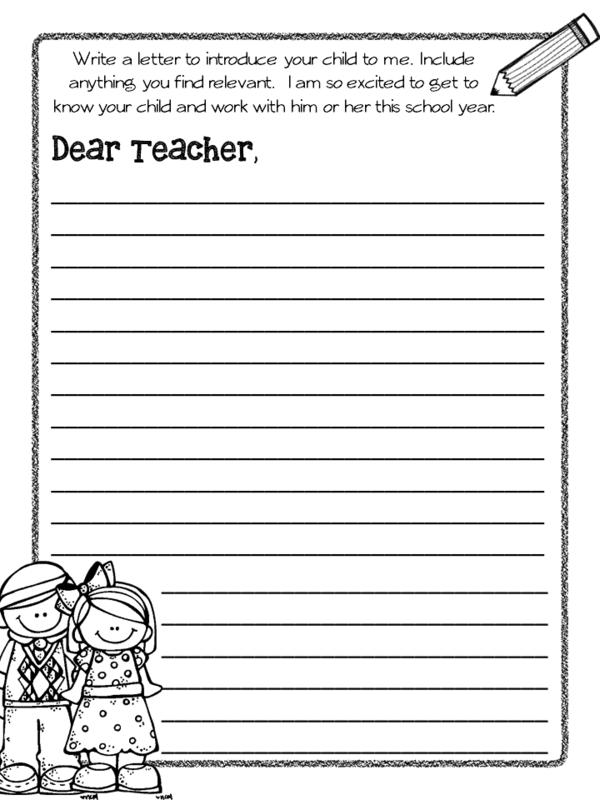 ASK THE PARENTS TO TELL YOU ABOUT THEIR CHILD. 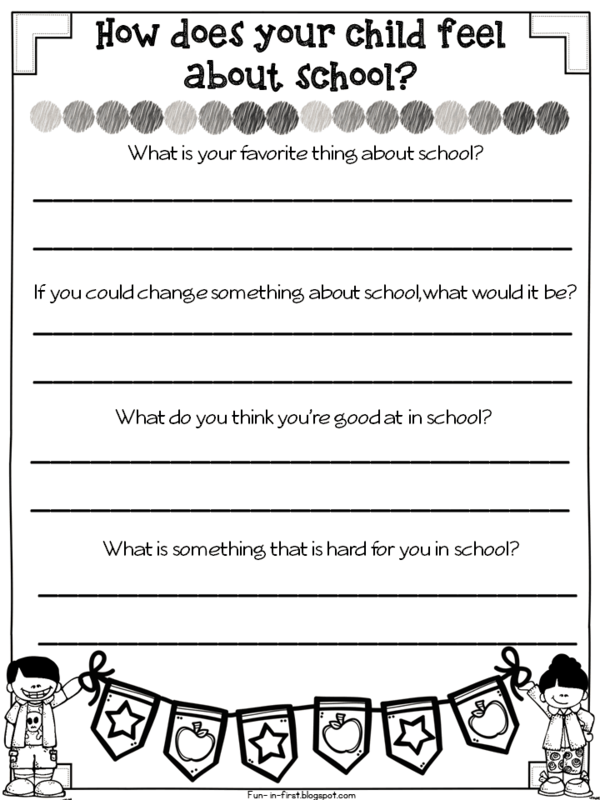 PROVIDE OPPORTUNITIES FOR STUDENTS TO SHARE ABOUT THEMSELVES. 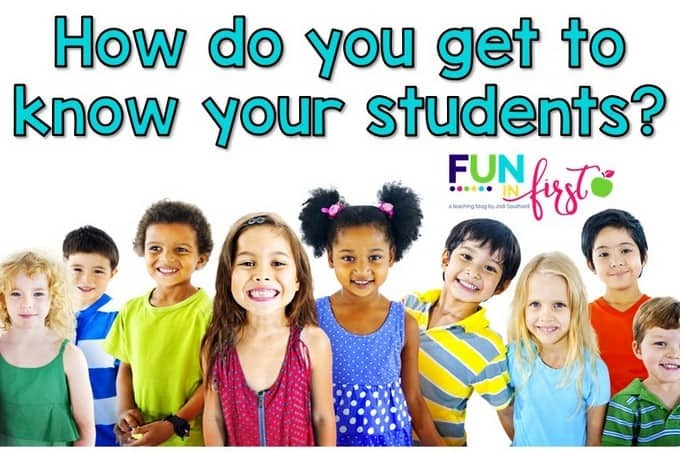 This is especially important at the beginning of the school year when the students are all trying to get to know each other. I love to do All About Me Bags the first week of school. 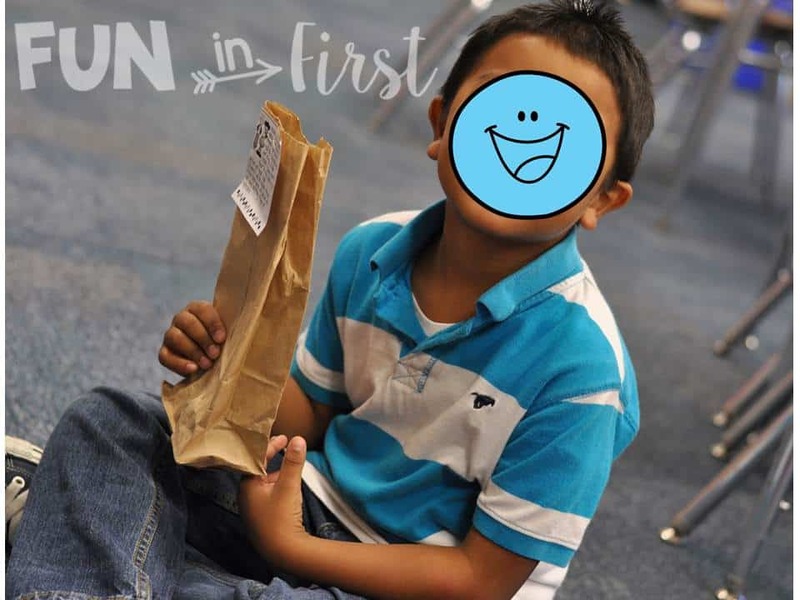 I send home a paper bag with each student, and they have to place 5 items in the bag to tell about themselves. 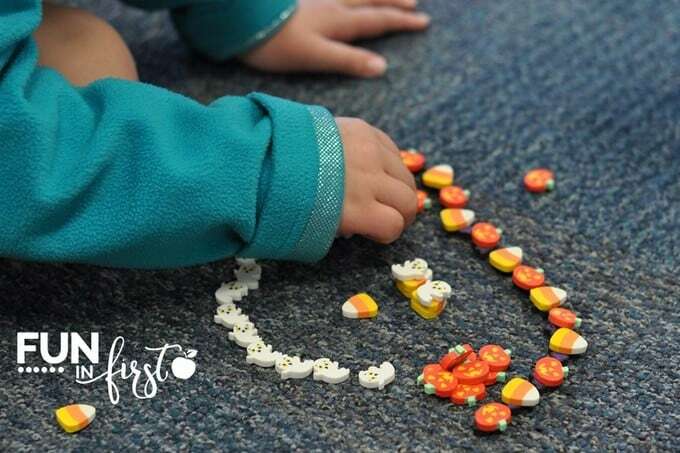 They love sharing these with their classmates. 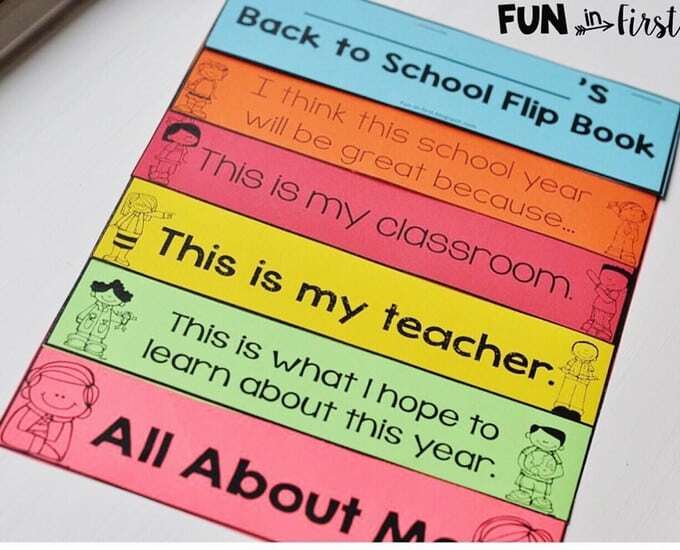 We also create flipbooks during the first week to tell about each student and what they hope to learn during their 1st grade year. TAKE NOTES ABOUT YOUR STUDENTS INTERESTS AND HOBBIES. 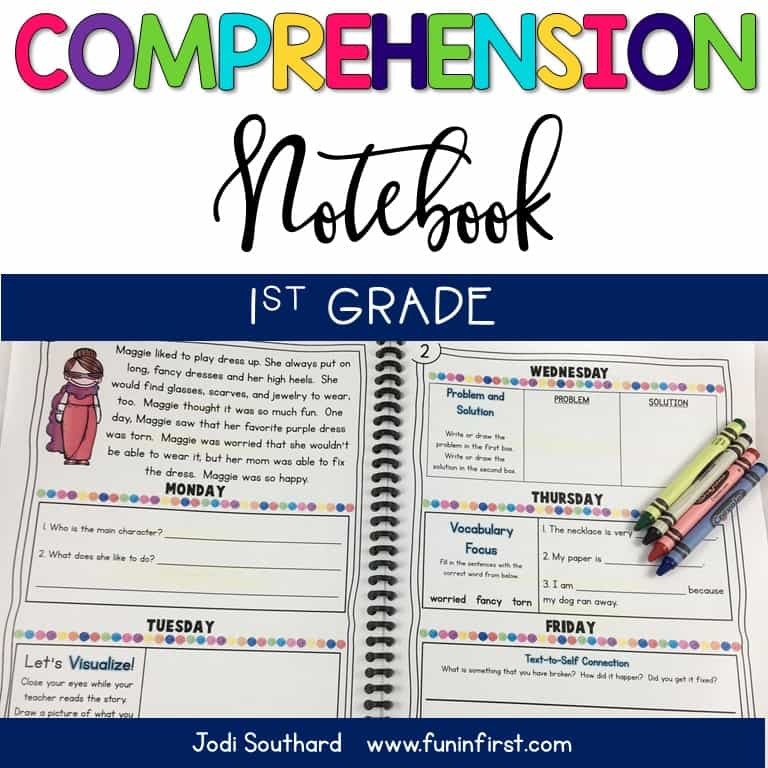 I created this fun editable note taking sheet if you’re interested. GREET YOUR STUDENTS EVERY DAY. 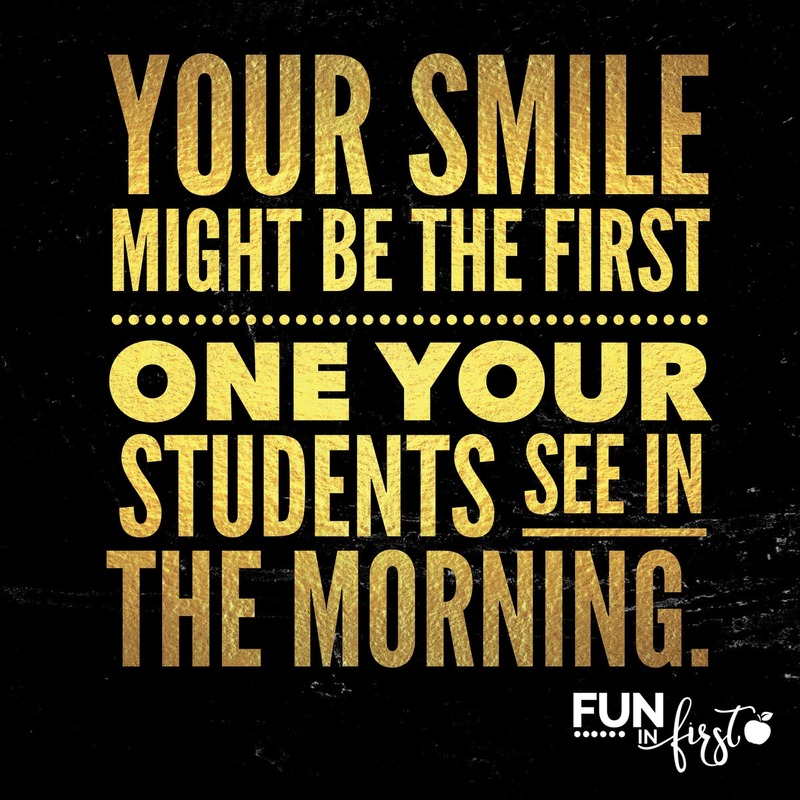 Every morning when your students come into your classroom, greet them. Whether it’s with a high five, a hug, or just a smile and a “Good Morning,” make sure you acknowledge they are there. Can you imagine if you walked into work, a meeting, or a party, and no one acknowledged you? What are your tips for building a relationship with your students?